“When I am 80, I don’t want to look back on life and regret that when I could, I didn’t and now it is too late.” Meet Rashmi Bal who (in her own words) is the CEO, COO, CFO, support staff and owner of Battered Up! 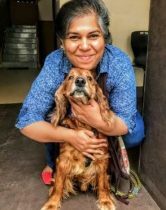 Now, don’t be misled by the name, Rashmi is a passionate baker and has been whipping up some fabulous cakes over the last four years. When Rashmi started Battered Up, she left behind a 17 year old career and a fat pay cheque. 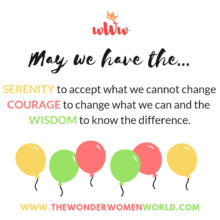 While she wrestled with her inner voice of reason, she also had to shut down the voices of doubt who told her she had no credibility, experience or background to get into the new venture. It took a bit of introspection, a whole lot of courage and self-discovery for Rashmi to gather the courage and finally make up her mind and just go for it. And she hasn’t regretted her decision to date. Wanting to leave all of you with some deeper insight, I asked Rashmi to share a challenging experience and how she improvised. She told me about the time she baked one of her first themed cakes. The client had asked for it to be made in the shape of the number 5 with a racing car theme. Really thrilled at how it turned out and excited to send it over to the client’s place, Rashmi suddenly realized that it was too big for the box. So, she and her erstwhile partner decided to personally deliver it. Armed with their icing bags and the cake they set course, eager to see the happy faces of their clients. As the car neared the gate, the watchman suddenly appeared in front of them and Rashmi braked. The next thing they knew the cake had toppled and fallen down. In complete shock, Rashmi immediately called the client, who naturally did not receive the news very well and disconnected the phone. Rashmi, rushed over to Sweet Chariot picked up a couple of cakes, valiantly tried to salvage the smashed cake and make it still look like the number 5. One look at the client’s face, and Rashmi, wished the Earth would open up and swallow her. The show did go on and the cake, although smudged, distorted and grey, tasted great and even to this day they have her as a loyal client. Inspiring life story of an amazing woman! Thank you for covering it! It takes real guts and self-confidence to step out of a 17 year old career comfort zone and follow your heart, especially in the face of naysayers…. Way to go Rashmi! Love the CSR effort of Battered Up too… Passing on the sweetness and goodness too! Very proud of you and your achievements Rashmi. Your determination and passion for baking has and is paying off. Lots of success for future glories. You set a good example for other women to venture out to uncharted territories and make their choices. Very inspiring story. And it proves that there is no substitute for will to male it big and perseverance to achieve it. Bravo Rashmi. All the best. HIDDEN talent and HARD WORK!!!! SUCCESS is reaching high !!!!! All the best and GOD BLESS !!!!! Rashmi you are living my dream . Your never say die attitude has kept you on the path of self realisation and achieving your goals. Keep going girl – we are proud of you.